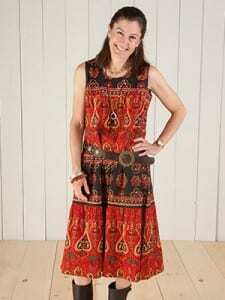 Though at first appearance you may think it’s simply a lounge-about housedress, take another look! Sure, it pops easily over your head, flows generously over every curve, and flatters your figure like we all hope our favorite jeans do. But please, don’t underestimate the muumuu’s stylish versatility; there’s no end to the ways it can be dressed up and take you from a day at the office, an afternoon by the pool, and then to a special night on the town! 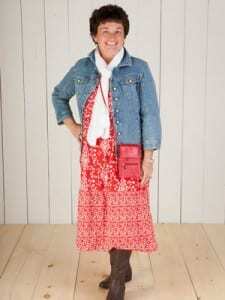 Take a look at some of the ways we wear our muumuus at The Vermont Country Store—and be inspired! Keep in mind, these photos are not of fashion models boasting perfect figures and wearing professionally-applied makeup. No, no, no! We are real-life gals, like you, who want to look great and feel comfortable everywhere we go, without having to fuss. I hope you’ve been inspired to expand your wardrobe with our fun, colorful, comfy muumuus, and then venture beyond your backyard patio! Take a peek at our muumuu collection; you’re sure to find several that will lend themselves to your personal style — and the accessories you already own. 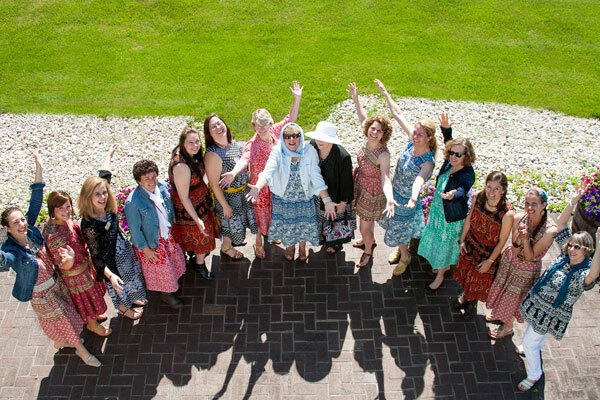 See more photos of The Vermont Country Store gals wearing our muumuus.